February 1 – Almost no one was expecting the Qatar national team to drive their way through to become the continental champions in the AFC 2019 Asian Cup that completed in the United Arab Emirates Firday night. February 1 – The Qatar football project is bearing fruit. Ably supported by an army of Omanis who once again had driven across the border, this time in their thousands, to support them, Qatar lifted their first-ever Asian Cup in Abu Dhabi with a 3-1 win over a Japanese team that started as favourites. February 1 – Game on, all players available. The protest lodged the by United Arab Emirates FA concerning the eligibility of Qataris players Almoez Ali and Bassam Al Rawi has been unanimously dismissed by the AFC disciplinary committee, just four hours before the final between Qatar and the UAE is due to take place. 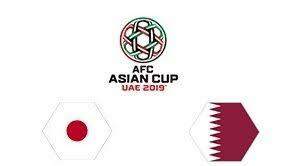 January 31 – First-time finalists Qatar will seek to make national history on Friday in the final of the Asian Cup by overcoming continental powerhouse Japan. The Samurai Blue will aim for a record fifth continental crown in a final that is predicted to go down the wire. January 31 – The UAE Football Association has formally protested against the eligibility of two Qatari footballers who played in the Asian Cup semi-final on Tuesday. 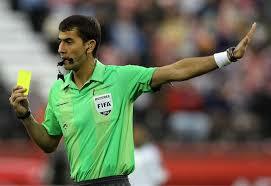 January 31 – Uzbek’s Ravshan Irmatov has officiated more matches in the history of the Asian Cup than any other referee, having taken charge of 13 matches in a record four Asian Cup final tournaments. January 29 – Qatar’s goalkeeper Saad Al-Dosari posted a new continental record having maintained a successive clean sheet with his country’s national team in 6 successive matches, complete 540 minutes in the Asian Cup 2019. January 28 – The two arch rivals will meet today in what the stats suggest should be a fairly even encounter. 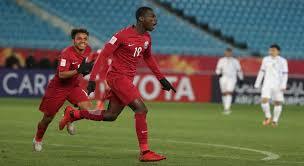 UAE have defeated Qatar twice in the AFC Asian Cup and Qatar defeated UAE once in their three continental encounters. 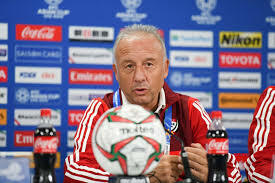 January 28 – Qatar’s captain Hassan Al Haydos has said his team have what it takes to reach the final of the 2019 Asian Cup as they face hosts the United Arab Emirates in yet another match that mirrors the geopolitical showdown in this fascinating tournament. 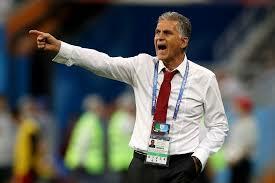 January 28 – Carlos Queiroz has stepped down as coach of Iran after his team crashed out of the Asian Cup 3-0 against Japan. In recent weeks the Portuguese has been linked to the Colombia national team vacancy. 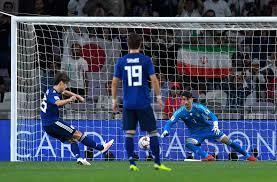 January 28 – Japan stunned Iran and their fans into silence with an outstanding second half performance to win 3-0 in the semi-finals of the Asian Cup at the Hazza bin Zayed Stadium in Al Ain, UAE, tonight. 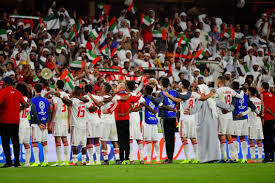 January 28 – The Abu Dhabi Sports Council has snapped up all the remaining tickets for the AFC Asian Cup semi-final to be played in the 42,000 capacity Mohamed bin Zayed Stadium in Abu Dhabi.